Drive with your laptop. If that sounds like an interesting idea for you, then I suggest you look into automotive computer mounts. For those of us who hate being away from the computer, even when we're driving, auto laptop mounts are the perfect fit. They're easy to install, easy to use, and even easier to get used to. Having your laptop attached to your car opens an amazing array of features, and will ensure that you'll never be bored while driving by yourself again. Auto computer mounts aren't a new invention, and the idea of having a computer in your car is one of the older science fiction staples. With an auto mount, you have a mini-computer desk in your car that you can carry with you for long and short trips, and if you have a power adapter for your car, you can use it without limits. A laptop adds countless benefits to driving, especially on long trips, or o trips to places you haven't been. Ever used the internet to get directions? GPS systems commonly sell for at least $100, and the better ones can be much more expensive than that. But if you have a laptop, all you need is an internet connection. Find your route, and then take the laptop with you. That will allow you to take a map and directions to you, and let you access it at your convenience, all for the one-time fee of the auto mount. Many of them even come with a lifetime warranty, assuring that you'll only have to pay for a mount once. If you have cellular internet, the possibilities are even wider. Cellular internet provides us with the ability to get online almost anywhere in the world, and if you're bringing your laptop on a trip with you, it goes without saying how valuable this can be. You can stream online radio, look at an online map while in the car, reach any of your contacts, or even play check the news, all from the comfort on your car. The car lets us see the world with our own eyes, and the internet lets us discover things about the world we never could have otherwise. When you have both of them at your disposal, there are truly n limits to what you can do. The installation of an auto computer mount can vary. The place you put your mount, and the difficulty of the installation all depends on the car. Many new sedans are actually being made with auto mounts in mind, and are thus very easy to deal with. 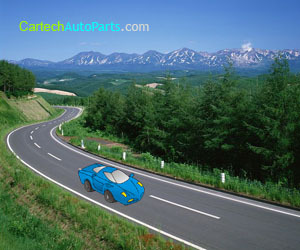 For older cars, or cars that aren't specifically designed, the installation can get a little bit more difficult. Some require that you drill holes under or around the passenger seat, while others are easier to install, some needing virtually no "do it yourself" skill. It's very important to do some research into how the mount you want to buy is installed, and how well it fits with your car. There are custom-built mounts available, so there if you need one, you will be able to find it. Just be warned that for some, it may take a little willpower or a little more money to make sure you get a mount that you're satisfied with. As the market for auto laptop mounts gets bigger every year, we can expect to see them become even more convenient and inexpensive. For now, however, we have reached a point where – with the ability to access the internet on the road for cheap, it's easier and more natural than ever to just take your laptop with you when you're driving. For those of us who pour much of our life into our computers, it's the perfect driving companion.